This premium wedding kit is the next step up from the classic wedding kit. 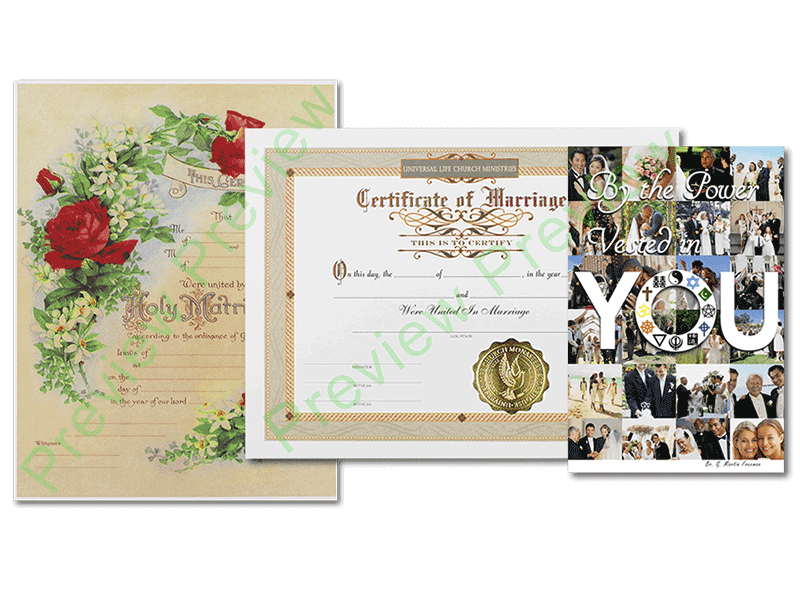 It contains more wedding materials for conducting weddings. One of our most popular packages for weddings. 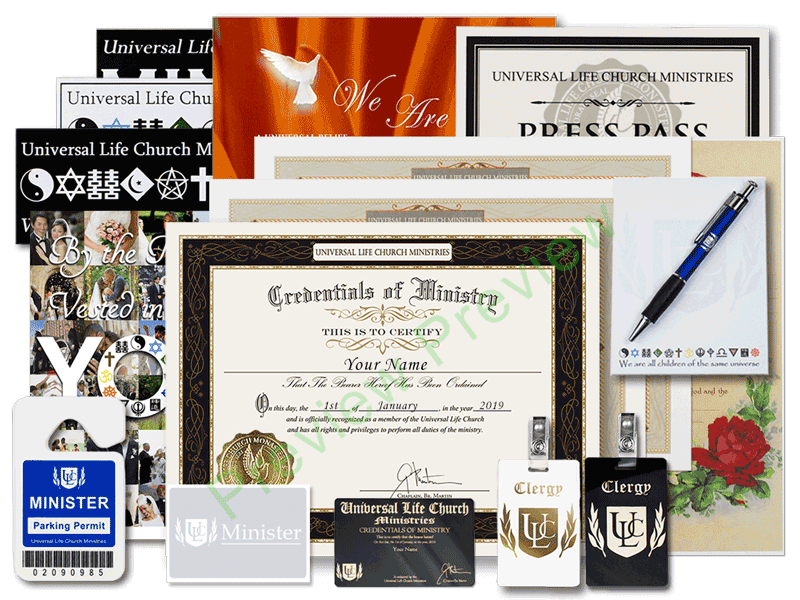 This package contains all of the materials from the classic wedding kit, but with more wedding materials and comes with your premium gold-foiled ordination credential instead of the standard ordination credential.